Michelle is the leader of 5280 A Cappella. Kim discovered her love for music at an early age and was involved in voice and piano lessons by the age of 8. She became an active choral singer as a young adult and participated in many top-tier choir and small groups throughout her school years. Kim participated in a variety of musical productions including Fiddler on the Roof, Guys and Dolls, Jekyll & Hyde, and performed as Sally in You’re A Good Man Charlie Brown. 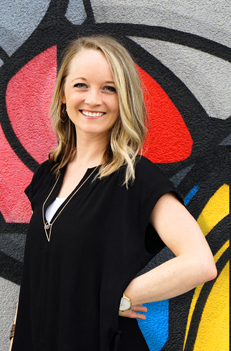 While attending the University of Colorado at Boulder, Kim continued to pursue her musical talents by performing with the university’s Collegiate Chorale and sang soprano in one of our a cappella community’s favorite collegiate groups called Extreme Measures. You can find Kim securely covering the very top vocal line as our Soprano. Kim’s gorgeous voice also allows 5280 A Cappella to seize any opportunity we can to have Kim sing solos as well! 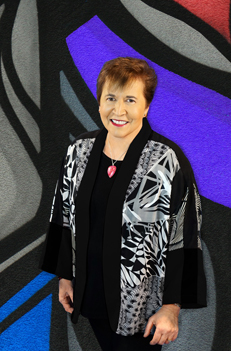 Helen began performing a cappella music in high school as part of a group named Raging Harmonies. Through international competition, the group was featured on the “Best of High School A Cappella” CD. They also received the honor of being named, “Audience Favorite” at the semi-finals for the National Harmony Sweepstakes. 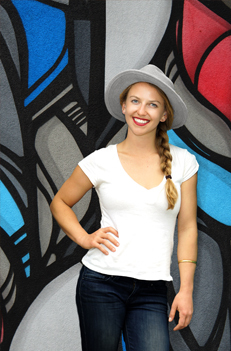 Helen studied vocal performance at the University of Northern Colorado and spent her summers as a camp counselor at Rocky Mountain Vocal Jazz Camp under musicians such as Peter Eldridge of New York Voices and members of M-Pact. 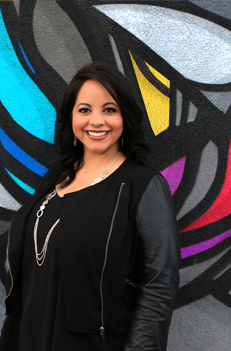 She currently works as the Youth and Music Director at Agape Life Church. Adding to the many hats that she wears, Helen is also the Director of Vocal Chords, an a cappella group out of Arvada West High School. In 5280 A Cappella, you will hear Helen singing the mezzo/alto harmonies as well as some great leads. Kia moved from the “old and wise” Blue Ridge Mountains in North Carolina to the Rocky Mountains for school at CU Boulder, where she was a part of the a cappella group, “Extreme Measures.” High school choir and musicals set her up for a lifetime of “nerding out” to a cappella jams and forever loving to sing, perform, and arranging music. Kia grew up playing guitar and learned to play the djembe from her Egyptian composer grandfather. Music has always been in her blood. Kia loves the dynamic of male and female voices perfectly blending together through crunchy and clashing harmonies. 5280 A Cappella is thrilled to have Kia’s fine voice throwing down on some great leads and blending impeccably with the rest of us! 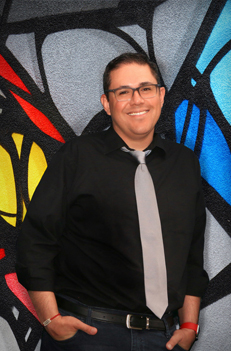 Originally from Nogales, AZ, Luis has been passionate about singing since he was four years old. His first real experiences in music performance came in high school when he was cast as a choir member in Bye Bye Birdie and as the sadistic dentist in Little Shop of Horrors. He was also a member of the University of Arizona Vocal Jazz Ensemble. Luis didn’t dedicate himself to music until he came to pursue a Master’s Degree in Recording Arts at UC Denver. There, he became a member of the award-winning a cappella ensemble, MIX. 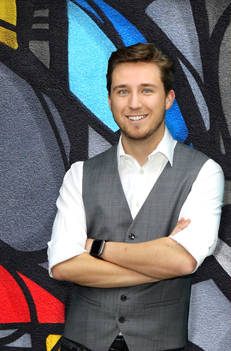 Since graduating, Luis has remained an active member of Denver’s a cappella community. Luis hangs out on the top of the Mens’ section keeping those higher pitches right where they belong. 5280 A Cappella is thrilled to have Luis as our Tenor! Like most of the singers in this group, Jeremy Mullet began singing at an early age. 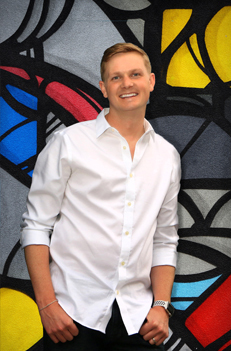 He began his musical journey as a member of the choir at his middle school in Longmont, CO. From there, he continued to sing in high school as a member of his school’s chamber and men’s ensembles. While attending the University of Colorado at Boulder, Jeremy continued on as a member of the elite a cappella group, Extreme Measures. It was in this group that he met two longtime friends that would inevitably bring him in as the energetic, humorous and crowd-pleasing baritone of 5280 A Cappella. Jeremy often hangs out in the lower range of the men’s harmonies, but he can also bust out as a powerful soloist. Bradley Becker is a native of Arvada, Colorado. Bradley Becker has played piano since he was five years old. He has been an instrumentalist his whole life. Bradley has had roles as a chorus member, lead actor, and pit orchestra member for a number of various theater productions to include: Thoroughly Modern Millie, Oliver, Footloose, Fiorello,South Pacific. Bradley is currently a student at the University of Denver. He is pursuing a major in Physics, and continues pursuing his musical endeavors at the Lamont School of Music. Bradley performed with an a cappella group on the X-Factor in 2013 at the Denver Coliseum. Bradley is the Music Director for 2 of the Premier Mixed-voice a cappella groups at the University of Denver—Exit 205 and the DU Idiosingcrasies. For 5280 A Cappella, Bradley throws down creatively covering some additional bass lines, baritone lines and he also jams with our Vocal Percussionist. Matt Guerin has been a creator of interesting musical sounds since before he can remember. He has been involved in all sorts of music ensembles thru elementary, middle, school, and high school and was a part of the CU Drumline and the CU Buffoons. Since then Matt has been a drummer in a national touring metal band and has participated in numerous other groups as a soloist, percussionist, and blends of the two. 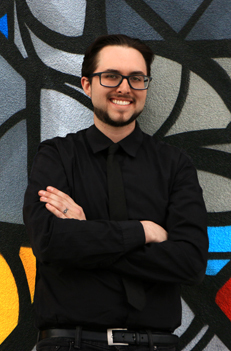 Matt works part time as an associate Music Director at St. Andrew UMC in Highlands Ranch and is excited to finally be able to take his skill to the next level by being part of and creating beautiful music with 5280 A Cappella.